Cook the beef in a pan until it is medium rare. 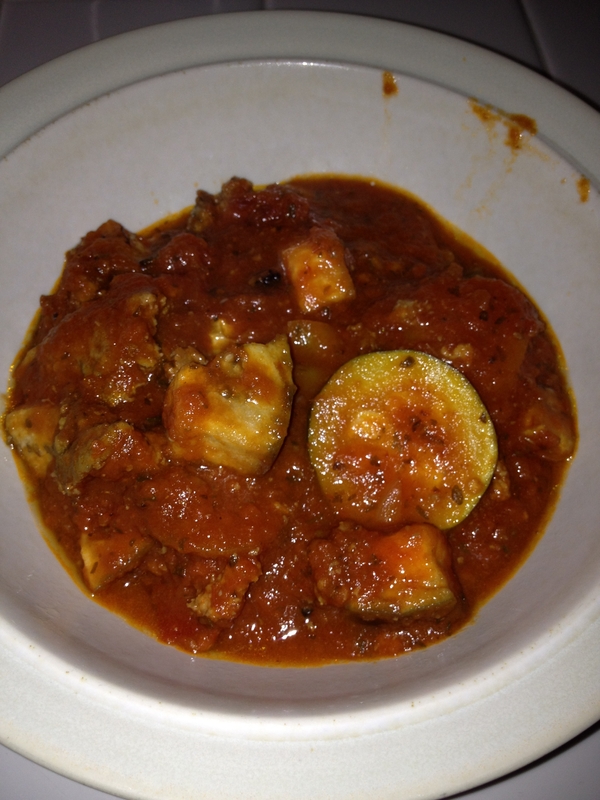 Chop up the eggplant, zucchini, and bell pepper into cubes. 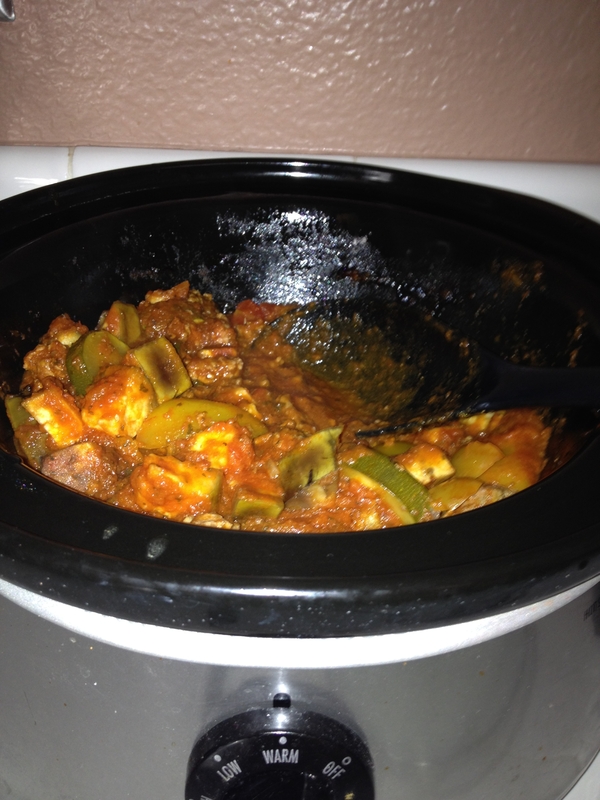 Throw the chopped raw veggies, cooked meat, and a jar of marinara sauce into the Crockpot. Add your favorite Italian seasonings. Stir up to make sure everything is well coated with the sauce. Turn the Crockpot on warm and cook all day long. Serve as is or with some toasted garlic bread. One of the things that I love most about this recipe is that I only use a 1/2 lb of ground beef. It’s amazing how far that small amount of meat goes when mixed in with all those veggies. You really don’t feel like you are missing any protein and you are saving a couple of dollars on your grass fed beef. We used to eat a whole pound in 1 meal until I started experimenting and adding more veggies, which replaced some of the lost weight. And my husband and I don’t notice a difference, plus the veggies add so much more flavor (and vitamins). I spend a lot of money on groceries each week because the health of my family is very important and the food choices I make affects them with each meal. These are little things that impact the future of ourselves, our spouses, our children, and our extended family members. My son is only 18 months old today, but soon enough he is going to be eating twice the amount of food as my husband and I, so if I can prepare myself for that now, and my wallet will thank me in the future!